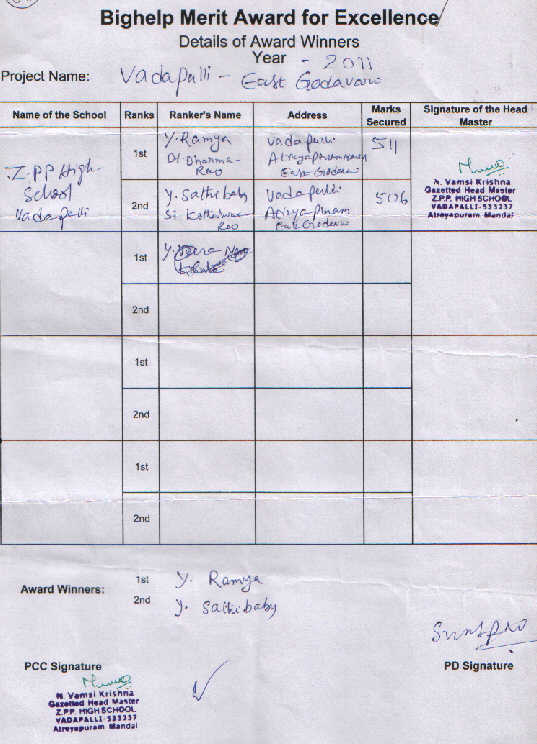 This Merit award has been established by Bighelp For Education to foster a competitive spirit among students studying in schools under Vadapalli project located in Vadapalli village, East Godavari District of Andhra Pradesh. This award considers all students equally irrespective of their individual financial strength, cast or religion. This endeavor sends a message among all students that every child is capable of achieving highest rank regardless of their school, gender, class, race, religion or disability. 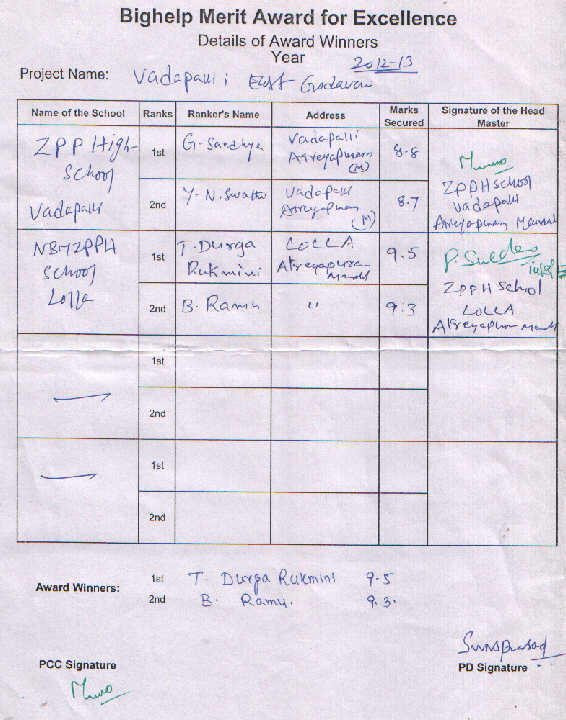 2nd Prize: Ramu – N.B.M Zilla Praja Parishad High School, Lolla – GPA 9.3 out of 10. 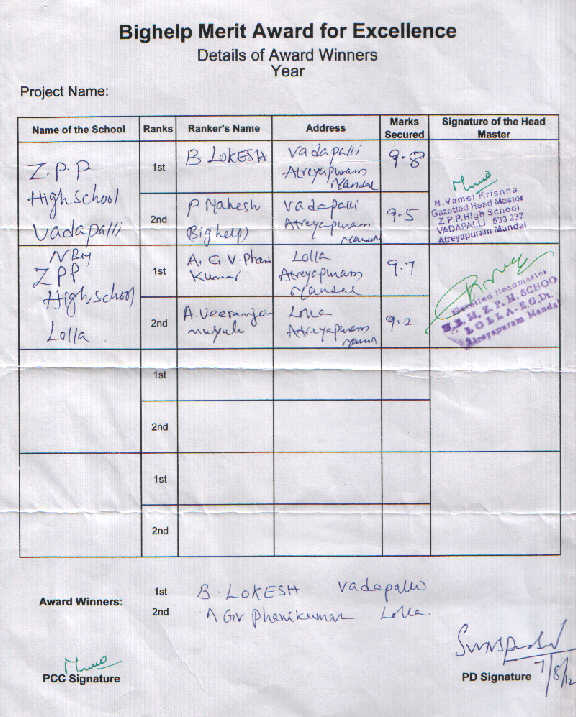 2nd Prize: Phani Kumar – N.B.M Zilla Praja Parishad High School, Lolla – GPA 9.7 out of 10. 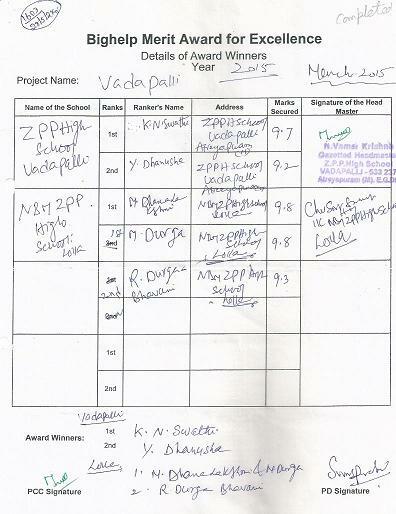 2nd Prize: Sathi Babu- Zilla Praja Parishad High School, Vadapalli – 506 marks out of 600.